If you think about it, the guitar hasn't been an instrument which virtuoso soloists cared to use for too many years. These are two of the persons who helped to change that. Oh sure, there were guitar heroes before either of these, but they weren't so large in the public eyes before. People like Django, Segovia, Robert Johnson, and Wes Montgomery; those are guitar heroes which pre-date the so called British invasion. Music just changed when electrified guitars met up with this thing called 'rock and roll.' It got loud, and the guitar became dominant. Rock became the most popular music in the western world. Before Leo Fender designed guitars he built public address systems, and repaired guitar pickups and radios. 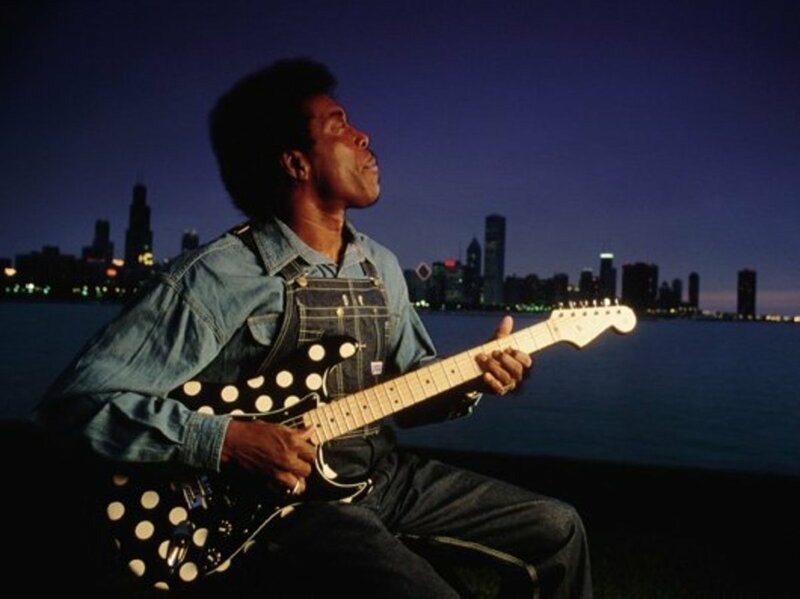 The first guitar he'd designed turned into the Telecaster. It was a smash hit of a product. It's not controversial to say the Stratocaster was an equally groundbreaking product. Many found the Strat to be a more ergonomic design than the Tele, or of guitars made by other manufacturers. The three pickup and five way selector switch offered a wider array of tonal possibilities than anything else did then. 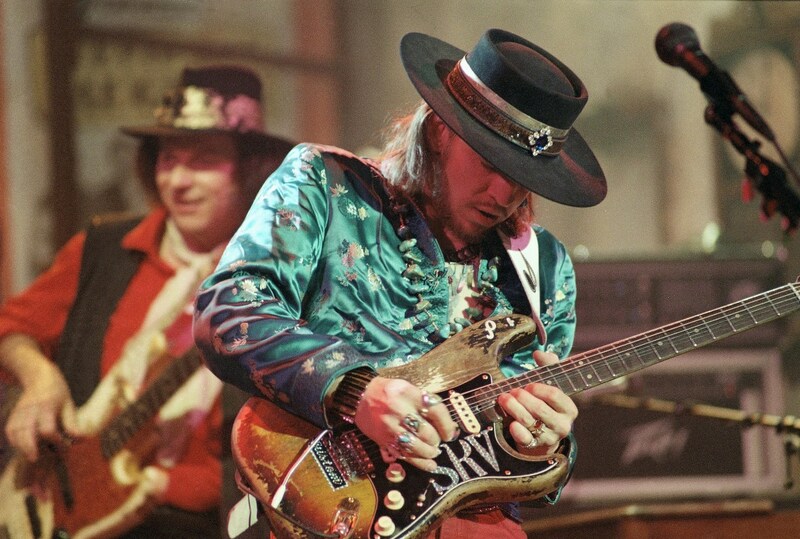 The Strat's tremolo was yet another thing which set a new standard for guitars. 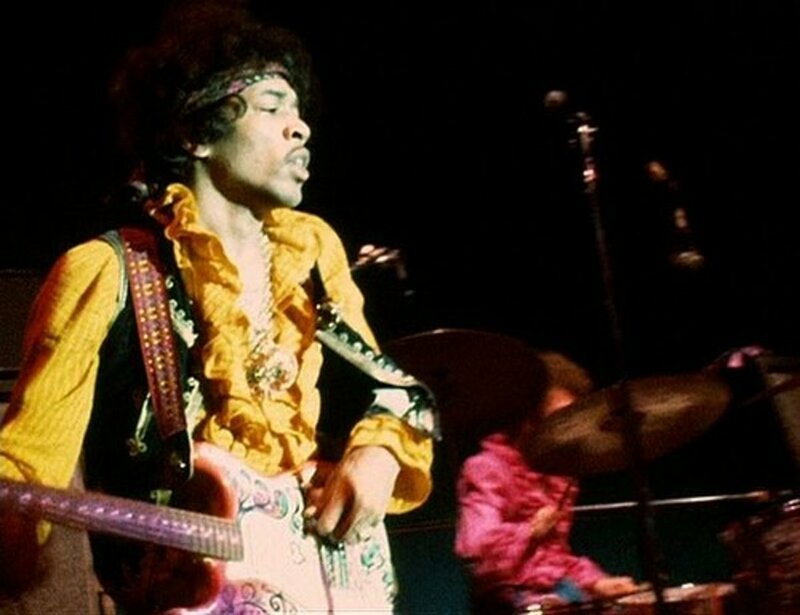 Both the Strat and the Tele were competing against the Gibson Les Paul. The body contours of the Strat made it a much more comfortable guitar to play, for some, than either the Telecaster or the Les Paul. Stratocaster guitars have also almost always had the advantage of being both lighter in weight and less expensive than many Gibson electric guitars. Long time heroes like Eric and Jeff have blazed away on many different six string gits over the years. What can't be argued is the both of them, after a time, landed on the Fender Stratocaster, and found it the most preferable. Oh those glassy, twangy, and quack tones they produce! Eric Clapton and Jeff Beck both have Fender Artist Series strats with their names on them, and we're going to have a look at them. 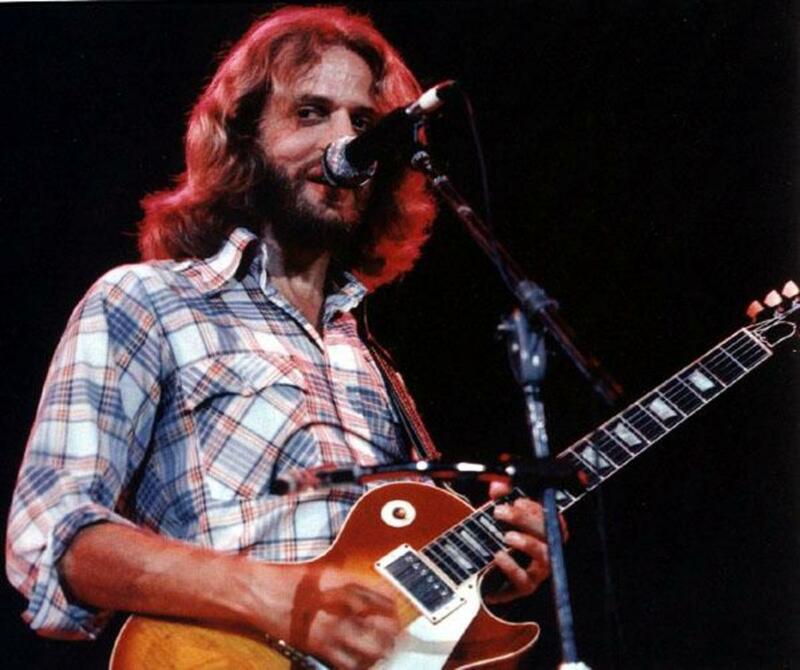 The first rock and roll concert I remember going to was Eric Clapton. My ears might still be ringing. I had no idea how loud it was going to be. I enjoyed it so much I saw him the next time he came to Dallas, Texas too. I had an algebra teacher in high school who'd went to see Eric Clapton twelve different times. That was in the early 90s, and my high school algebra teacher may have well seen the great EC many more times by now. Try making a list of all the different bands Eric had been a part of before becoming a solo act. I bet you manage to miss at least one of them. Twenty three studio albums, twenty six singles, eighteen compilations, and fourteen live albums; and then countless appearances in concert and on albums by other persons, and Eric Clapton isn't done. He's quite in demand with his Stratocaster. His estimated worth exceeds two hundred and fifty million dollars. I've never met Eric, and yet he is my friend. You look at the Fender Eric Clapton Stratocaster, and it looks pretty much just like every other Strat you've ever seen. You have to have some modestly advanced knowledge to see that it isn't the baseline Fender Standard Strat. The bells and whistles here are 'under the hood,' so to speak. There are two awesome things which expand the tonal capabilities of this instrument, and they are the 1. TBX circuit, and the 2. Active Mid Boost. Both of these things are circuitry which can be activated with the tone control knobs. The Stratocaster, very famously, has two tone control knobs, and one volume knob. The second tone control knob functions as an active mid-boost control. Turning it clockwise boosts mid and bass frequencies while decreasing treble frequencies. The active mid-boost helps to thicken up the tone of the Strat, and makes it able to somewhat simulate a Gibson humbucker sort of sound. Necks are extremely important on guitars. The idea is the owner spends countless enjoyable hours holding that neck with one hand, so it ought to be comfortable. Well, this model's is what Eric Clapton finds most comfortable. I've often felt that if your hands are of a decent enough size, then you can do fine with most any neck after a brief time of introduction. Our tremolo here comes with a wood block. The trem is blocked off, but this is no permanent affair, one just needs to remove the block to use the trem, or leave it there to prevent the use of the bar, and ensure tuning stability. It's done just how Eric likes it done. The Urethane finish is beyond the pale. The price is less than three times the amount of a Fender Standard Stratocaster. That still means it is less than a Gibson Les Paul Standard. The story goes that Jeff Beck was just six years old when he heard a sound he couldn't identify from a record his family was playing. He wanted to know what that sound was, and was told it was an electrified guitar. Jeff says he knew when he heard that sound he wanted to spend his life making just such sounds. I've never been so fortunate as to have seen Jeff Beck play live, but I've spent countless hours listening to him play. His classic instrumental albums, 'Blow By Blow,' and 'Wired,' are my favorites. His inventiveness is something no one else has. There's no doubt his brain is just wired differently. If you ever want to hear guitar playing genius beyond my ability to describe, just listen to Jeff Beck's instrumental version of 'She's a Woman.' The song was by Lennon and McCartney, but was just a pop song in their sing along version. Jeff elevates the guitar to something I doubt it had ever been before in his. A quick Google search and I know Jeff Beck is worth about eighteen million dollars more than most of the people I've ever met. He's a guy who seemingly tried hard to not be a rock star. He's preferred being an instrumentalist, or a guest soloist. He's changed his style and approach to playing more frequently than I change out a set of strings. Jeff Beck has gigantic hands. He's got the kind of hands that were you to shake one, it would envelope yours. It is important you know this because the neck on the original Jeff Beck Stratocaster was what Jeff used, it may not be what you want. It was what some would describe as a baseball bat. Fender decided to change the necks on the Beck Strats to something normal persons who love Jeff Beck could use comfortably. The two point floating vibrato and roller nut bring the tremolo system into full fledged whammy bar territory. Edward Van Halen probably wouldn't find much to complain about with this tremolo. There is an additional contour on the backside of the guitar to provide further ease of access to the upper register of frets. Again, Jeff has bigger hands than normal. The frets themselves are tall and fat, and this makes the bending of strings something more easily and aggressively doable. The pickups here are not common Strat pickups. Everyone seems to be a pickup fanatic these days, and these ought to please. They're much 'hotter' wound than normal, and will sound closer to humbuckers. Jeff has often loved high gain playing, and that is where these pups will really shine. Neck Shape:Special "C" shape with 9.5-inch radius. Machine Heads:Fender / Schaller deluxe cast/sealed locking tuners. Pickups:Three dual-coil ceramic Noiseless Strat pickups. 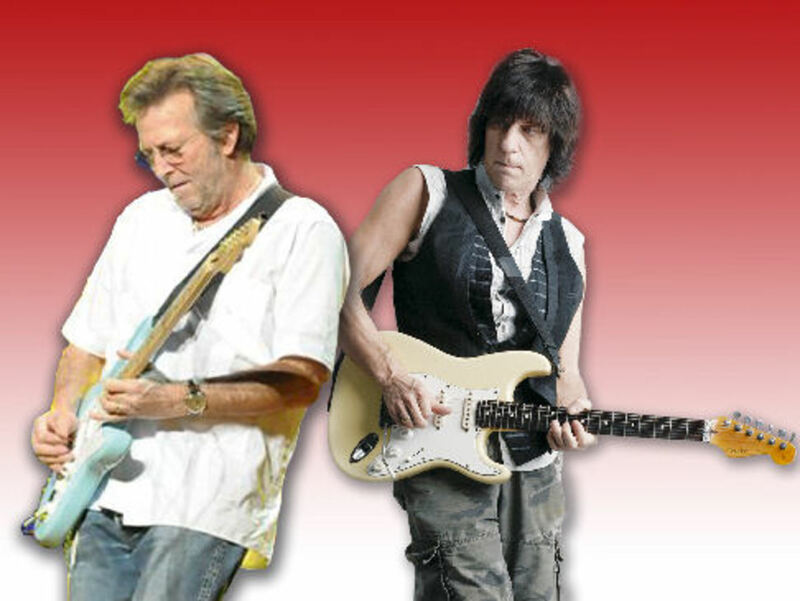 Eric Clapton and Jeff Beck are so very comparable as they're both nice Englishmen who helped make electric guitar the coolest thing in the world for many years. They're about the same age, they both prefer Stratocasters, and they've both got legions of admirers. These guitars are made for the persons who wish to emulate the sound of either Jeff or Eric. They sound distinctly different to me, and I mean the guitars and the players. The videos I used above are both superb, and very accurately demonstrate the distinct features. The persons playing both emulate the guitarists the guitars were created for. Parsing over the specifications you get to particulars which should matter to you. Some persons simply have to have a maple fingerboard. Other persons simply have to have a rosewood fingerboard. In such cases, the choices are clear. The Clapton is maple, the Beck is rosewood. That's all there is to it. When it comes down to hardware, the Clapton has the TBX circuit and the mid-range boost. Both of those are very handy, very usable features. You have to be interested in using those for them to be worth it. The Beck Strat has the above and beyond the norm tremolo system. If you're a whammy bar user, the Beck Strat is for you. If you consider the Clapton circuitry as equally a fine feature as the Beck tremolo, then that is where I am with those. These are not inexpensive. 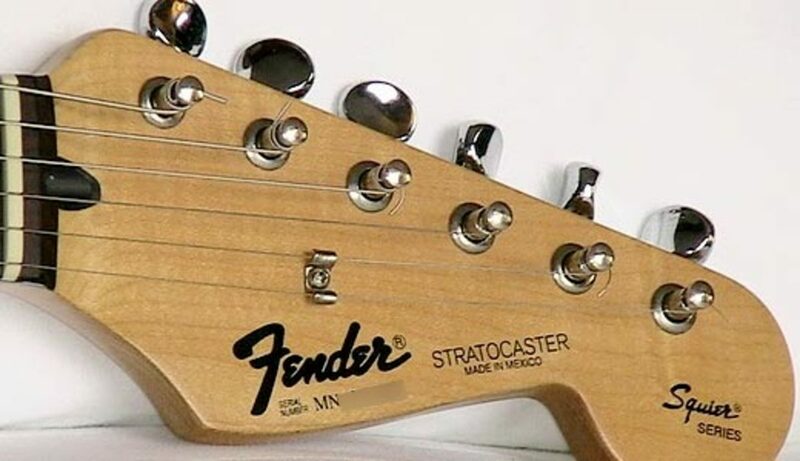 These are among the more expensive Fender Stratocaster models every year. The Beck Strat sells for about a hundred bucks more than the Clapton, and you can chalk that up to anything you like. Rosewood boards are becoming a more expensive thing every year, and that alone could excuse another hundred bucks. Folks, our heroes get old and die. Jeff and Eric are in their seventh decade of living. If they come to play near you, then it may be the last time. I hope they both live forever, but that won't happen. Thanks for reading.